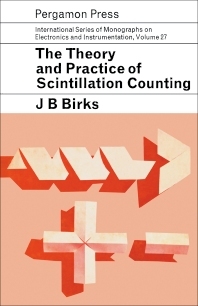 The Theory and Practice of Scintillation Counting is a comprehensive account of the theory and practice of scintillation counting. This text covers the study of the scintillation process, which is concerned with the interactions of radiation and matter; the design of the scintillation counter; and the wide range of applications of scintillation counters in pure and applied science. The book is easy to read despite the complex nature of the subject it attempts to discuss. It is organized such that the first five chapters illustrate the fundamental concepts of scintillation counting. Chapters 6 to 10 detail the properties and applications of organic scintillators, while the next four chapters discuss inorganic scintillators. The last two chapters provide a review of some outstanding problems and a postscript. Nuclear physicists, radiation technologists, and postgraduate students of nuclear physics will find the book a good reference material.